International Women’s Day has been celebrated since the early 1900s and is the global day connecting all women around the world inspiring them to achieve their full potential. 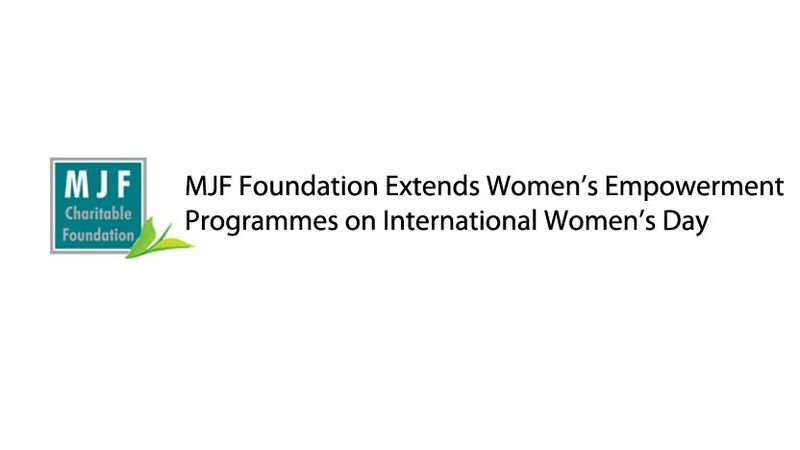 The MJF Charitable Foundation reinforced its commitment to the empowerment of women in a unique endeavour that seeks to enhance the lives of disadvantaged women and to provide medical care for expectant mothers and children. The first stage of the programme involves impoverished women in the Weerawila and Ambalantota communities in Sri Lanka ’s Hambantota district. These coastal villages are among the poorest in the country, lacking proper infrastructure and facilities. The Foundation equipped two vocational training centres with sewing machines and computers which will provide over one thousand women in these areas the means to a better livelihood. Most of the women in these areas have limited access to university education or vocational training and are unable to find employment. Helping them to acquire skills in computing and sewing empowers these women to earn better wages, set up their own cottage industries, and avoid the fate of many women from the area who have taken gruelling and poorly paid jobs overseas as unskilled domestic aides. Gracing the inauguration of these centres, which was a joint effort with the Janasuwaya Trust – a local charity, was Swiss Ambassador, Her Excellency Mrs. Ruth Flint. The inauguration of these centres also marked the introduction of IT into these villages which hitherto were seriously under resourced in terms of computer facilities. Furthermore the Foundation furnished two auditoriums in these training centres in order to facilitate the regular seminars and lectures that would be conducted. Whilst opening the Centres, the Foundation provided the women who will benefit from the two centres with a free health clinic, conducted by volunteer doctors on 8th & 9th of March. The free health clinic included Foundation funded medicines and nutrition supplements for the mothers and their children. Over 1,000 women and children benefited from this programme. The MJF Charitable Foundation through their mother & child programmes has provided women and children the encouragement and assistance to realise their potential. The Foundation sponsored Child Development Centres on tea estate provides thousands of tea estate workers, a majority of whom are women, the assurance of a caring and secure environment for their children while they are away at work. The Small Entrepreneur Programme creates a number of women entrepreneurs each year by providing them the tools and encouragement they require to achieve their dreams.